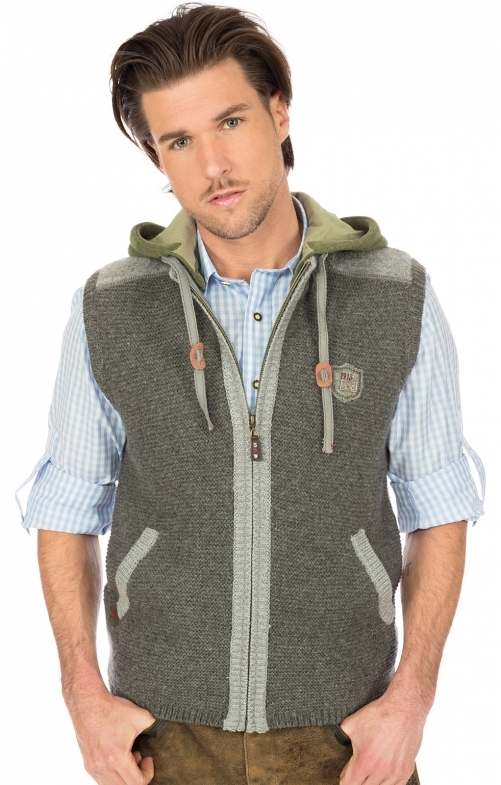 Super modern outdoor vest by Spieth & Wensky. Young and nice she comes along and looks great not only to leather trousers, but she also likes to do any hike. Optionally, the buttoned soft hood can be removed, which is just the special with the embroidered deer antler. Right and left side pockets provide warm fingers.